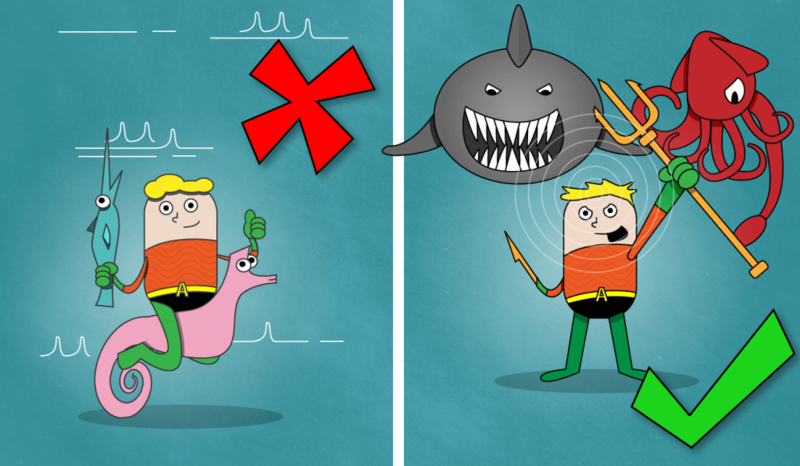 Aquaman is a superhero that often gets a bad rap. He doesn’t always go around slapping people with a large tuna while riding a giant seahorse. Instead, Aquaman commands sharks, octopi and other sea predators to do his bidding while wielding a massive indestructible trident, not to mention he is unhindered by gunfire and for a season, had a harpoon for a hand. (Yes, you’ve read right! A harpoon hand, how cool?!) Needless to say, he has been much downplayed compared to his fellow superheroes. Much like Aquaman’s connection to the oceans of Earth, our 10GBase-CU Twin0Ax SFP cable has the ability to connect the switches in your network. (Ha! And you thought this article was only going to be about Superheroes!) We like to think of this cable as being the “Aquaman” of your network setup. This cable may seem like a low-value accessory, but in actuality it is an essential piece of your network setup. Hank Pym (aka Ant-Man) is one of the most brilliant scientists in the Marvel Universe.By creating a special formula, Pym Particles, he was capable of shrinking himself into the size of an ant but retain the strength and agility of an average sized human. 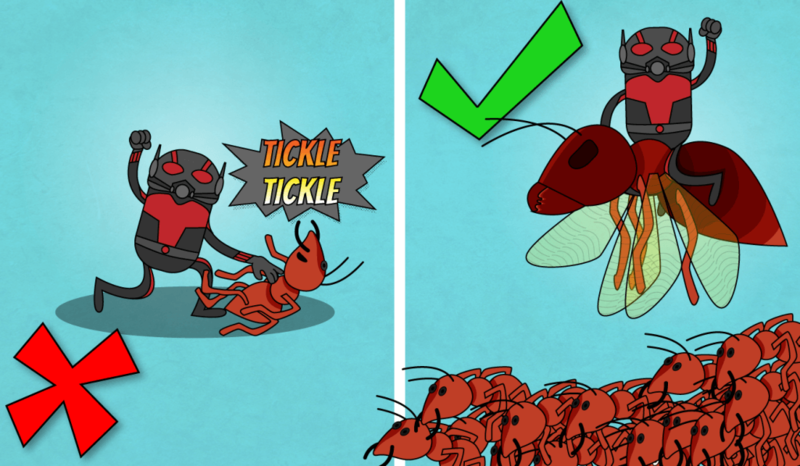 Ant-Man has the ability to communicate with ants and other high-order insects through his cybernetic helmet when he is need of assistance, which adds a whole new level of superhero powers. But who could forget about his awesome talent of ant-riding? I mean, come on now – who’s really going to take a man riding an ant-like it’s a bucking bull seriously? Now that we’ve poked fun at him, I guess it’s only right for us to tell you that Ant-Man is an unsung hero in his own right. Just think, who else is able to minimize their size by a formulated potion and retain normal human strength to attack those bad guys? But we all know he couldn’t have done all of this without his technological advances – as well as the help of his six-legged friends. Just like Ant-Man, the Cisco ASA5505 19” Rack Mount Kit is the helping device for upholding your network’s firewall. While the rack kit may seem minuscule like Ant-Man’s ant army, it is a valuable device to help you save the day for your Network! If snarky quips and successfully executed day-to-day operations in a fancy mansion are your favorite types of heroics, the Alfred Pennyworth (Batman’s butler) is your guy. But let’s be honest, most people don’t admire that style of heroism (even if we all wish we knew someone that did those things for us!). But there is a lot more depth to Alfred than just being sarcastic and calculating the excessive electric bills Wayne Manor conjures. 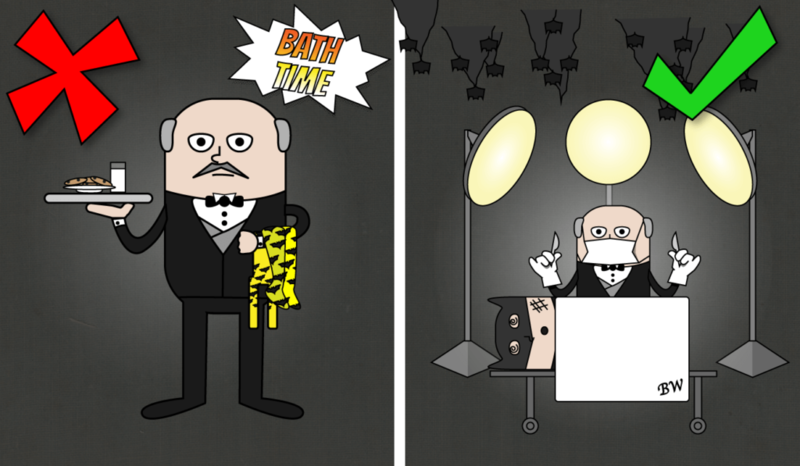 We all know Alfred never went to medical school and probably doesn’t even have his CPR certification, but he was always there to perform surgery on the injured Batman after his night of protection. Not only is Alfred an awesome surgeon prodigy, but he is also an expert at hiding Batman’s location by impersonating Batman on the telephone. (Where can I apply for one of these surgeons, impersonating butlers?) Speaking of using a phone to be a hero – did you know that your 7900 Series IP Phone would get NOWHERE without a handset to go with it? Every phone needs a handset for those moments where that loud speaker just won’t do the trick. And while it’s probably not very professional to do so, we really hope you use it to talk to people in your Batman voice – Alfred has shown us that that’s a pretty effective way to save the day! Everyone needs a superhero from time to time… but we mustn’t forget that not every hero receives the recognition they deserve. Keep this in mind and be sure to include the ever-necessary Cisco accessories when piecing together your league of champions – they’re the unsung hero!